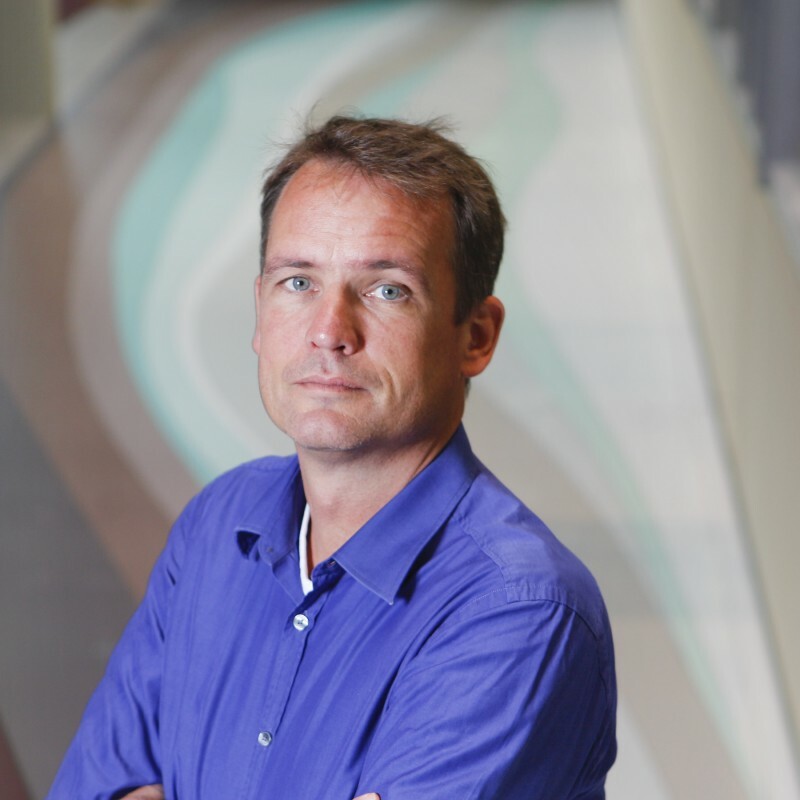 Gerald de Haan received his MSc (1990) and PhD (1995) from the University of Groningen. As a graduate student he was employed by the University of Cologne, working on the regulation of blood cell production by growth factors. He became a postdoc at the University of Kentucky with Gary Van Zant where he worked on stem cell aging, and returned to the Netherlands as a fellow of the Royal Netherlands Academy of Sciences. He established his own lab at the Department of Cell Biology, where he was appointed full professor in 2005. He was awarded a VICI grant by the Netherlands Organization of Scientific Research in 2007. From October 2016 Gerald holds the position of Scientific Director of the European Research Institute for the Biology of Ageing. Jung J, Buisman SC, Weersing E, Dethmers-Ausema A, Zwart E, Schepers H, Dekker MR, Lazare SS, Hammerl F, Skokova Y, Kooistra SM, Klauke K, Poot RA, Bystrykh LV, de Haan G. (2019) CBX7 Induces Self-Renewal of Human Normal and Malignant Hematopoietic Stem and Progenitor Cells by Canonical and Non-canonical Interactions. Cell Reports. de Haan G, Lazare S. (2018) Aging of hematopoietic stem cells. Blood. Wojtowicz EE, Lechman ER, Hermans KG, Schoof EM, Wienholds E, Isserlin R, van Veelen PA, Broekhuis MJC, Janssen GMC, Trotman-Grant A, Dobson2 SM, Krivdova G, Elzinga J, Kennedy J, Gan O, Sinha O, Ignatchenko V, Kislinger T, Weersing E, Alemdehy MF, de Looper HWJ, Bader GD, Ritsema M, Erkeland SJ, Bystrykh LV, Dick2 JE and de Haan G. (2016) Ectopic miR-125a Expression Induces Long-Term Repopulating Stem Cell Capacity in Mouse and Human Hematopoietic Progenitors. Cell Stem Cell. Verovskaya E, Broekhuis MJ, Zwart E, Ritsema M, van Os R, de Haan G, Bystrykh LV. (2013) Heterogeneity of young and aged murine hematopoietic stem cells revealed by quantitative clonal analysis using cellular barcoding. Blood. Geiger H, de Haan G and Florian MC. (2013) The ageing hematopoietic stem cell compartment. Nature Reviews Immunology. Klauke K, Radulović V, Broekhuis M, Weersing E, Zwart E, Olthof S, Ritsema M, Bruggeman S, Wu X, Helin K, Bystrykh L, de Haan G. (2013) Polycomb Cbx family members mediate the balance between haematopoietic stem cell self-renewal and differentiation. Nature cell biology. Dykstra B, Olthof S, Schreuder J, Ritsema M, de Haan G. (2011) Clonal analysis reveals multiple functional defects of aged murine hematopoietic stem cells. The journal of experimental medicine. Kamminga LM, Bystrykh LV, de Boer A, Houwer S, Douma J, Weersing E, Dontje B, de Haan G. (2006) The Polycomb group gene Ezh2 prevents hematopoietic stem cell exhaustion. Blood. Bystrykh L, Weersing E, Dontje B, Sutton S, Pletcher MT, Wiltshire T, Su AI, Vellenga E, Wang J, Manly KF, Lu L, Chesler EJ, Alberts R, Jansen RC, Williams RW, Cooke MP, de Haan G. (2005) Uncovering regulatory pathways that affect hematopoietic stem cell function using 'genetical genomics'. Nature genetics. de Haan G, Gelman R, Watson A, Yunis E, Van Zant G. (1998) A putative gene causes variability in lifespan among genotypically identical mice. Nature Genetics.